On twitter, thirst was defined as such –thirst (v) – the continuation of pursuance despite previously failed attempts. However the dictionary defines thirst as the physical condition resulting from this need, in any of various degrees: They almost died of thirst; or strong or eager desire; craving: a thirst for knowledge. With that being said, what is the true meaning of thirst? On twitter, I constantly see women say a man is thirsty when he shows interest in her. I raise the question, if a man is not “thirsty” or if he doesn’t show interest, then how will he know if he has a chance? You know how many single GOOD women are just waiting for the right man to approach them? It’s the main ones on twitter who say a man is thirsty that are single and screwing 5 of their followers. So who’s thirsty now? It is impossible to convince me a man is thirsty just because he is attracted to you. Twitter is somewhat like the club. If a man notices your avi and likes what he sees, he has all the right to follow you. You have the right to follow him back. He then has the right to DM you. But I guess that’s being thirsty. Hell if you don’t want a man to try an get at you put a avi up of a fat ugly jank. Now, I do understand when women say that men continue to try to holla at them although it has been SHOWN that you are not interested. So with that being said maybe the distinction is wanted vs unwanted attention. However many women say they tell men they aren’t interested, but most of you do not really state in the text/DM/phone call “I’M NOT INTERESTED” because you are scared he gone either go off or you gone hurt his feelings. Well I don’t know about you all but my Mom told me never be a quitter lol. It’s all a game. It’s like you have to pretend not to like the jank to get attention and not be thirsty. But, then you risk losing her to a man who is just parched and not “thirsty”…smdh. The truth of the matter is, women don’t know what the hell they want. In the same hour you see these 2 different tweets: “That n*%%a is thirsty” then 30 minutes later you see “I wish he would just show me some attention and not be with his friends.” Look, you have to pick one. We as men don’t know how to be 50% across the board. Either you want us to be so called “Thirsty” or you don’t want attention. I know what women are going to say… “I want attention from the one I like.” Well let me tell you something. We don’t know if you like us or not. Also, if we do have the thought that you like us I’m a tell you what aint gone happen…we will not be that subtweet “he” in “He is becoming thirsty.” We as men have way too much pride to be involved in your shenanigans on twitter and having people looking us like we’re crazy. 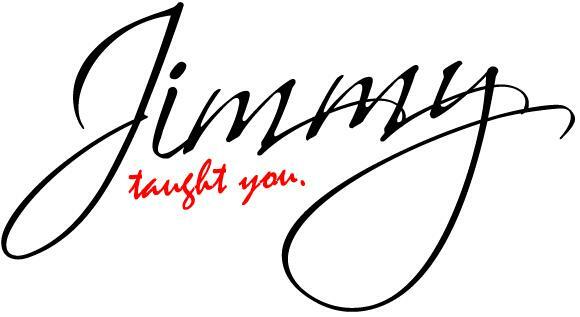 You are currently browsing the jimmytaughtyou blog archives for October, 2011.